Grow your email list, increase engagement, and generate sales. Collect, curate, and display beautiful user generated content. Increase engagement and award fans instantly with prizes. Reward your best customers for referring their friends. Manage Facebook and Instagram comment giveaways. 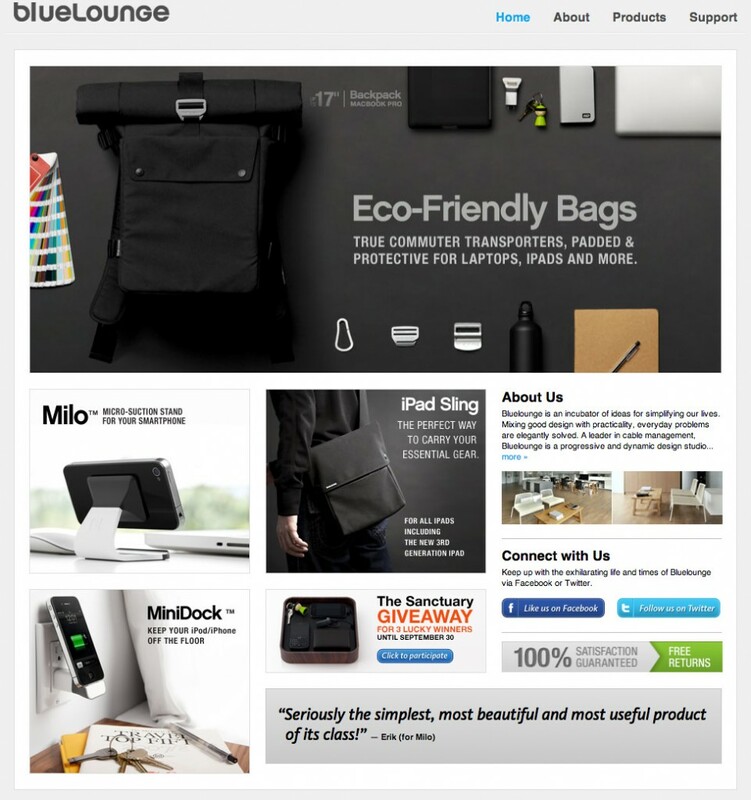 Build simple, embeddable email collection forms to grow your email list. Collect hashtag entries across social media for your promotions. Hire influencers to promote your next sweepstakes or contest. Team up with multiple brands to co-promote your next campaign. Today we profile Bluelounge in our first case study, a client that experienced outstanding results in the first sweepstakes that they ran using ViralSweep. Bluelounge is an award-winning international design studio known for innovative and sleek products created for consumers seeking relevant and honest solutions with a forward design aesthetic. Some of their best selling products include Milo and MiniDock. 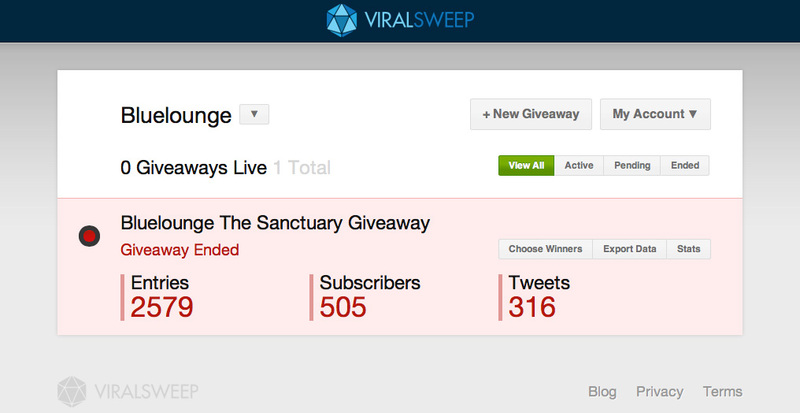 Bluelounge ran a 6 day sweepstakes offering The Sanctuary to 3 winners. The Sanctuary conceals a universal charger compatible with over 1500 electronic devices from most major brands and a USB port allowing hundreds more electronic devices to be charged. Users can charge their cell phone, PDA, Blackberry, iPod, MP3 player, and bluetooth headset simultaneously in one location. The Sanctuary retails for $129.95, bringing the total prize value of the promotion to $389.85. In order to promote their sweepstakes, Michael told us they mentioned it on Facebook and Twitter and also put a banner on the homepage of their website. 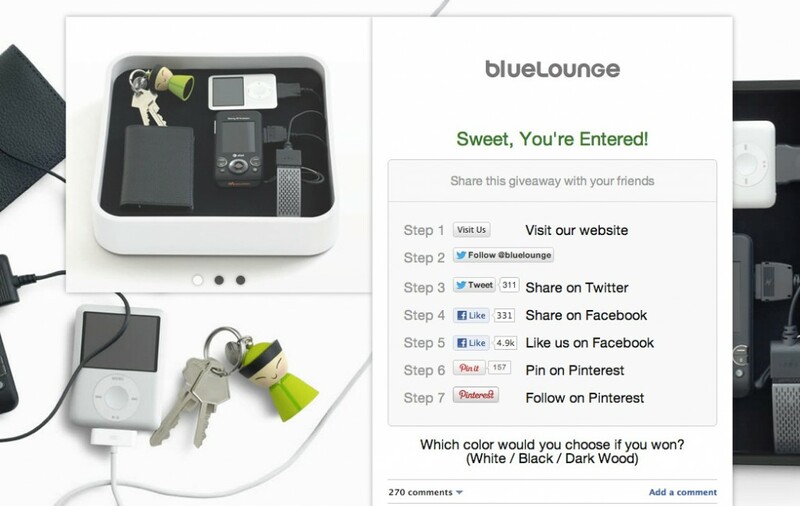 In order to only target website traffic that was eligible to enter the sweepstakes, Bluelounge used IP detection to display the homepage banner to visitors from US and Canada. It is our goal at ViralSweep to create the absolute best product for our customers. In order to make that happen, we always request feedback that will help us improve our service. Giancarlo Massaro Giancarlo is the co-founder of ViralSweep, the viral marketing platform for businesses. Connect with him on Twitter.